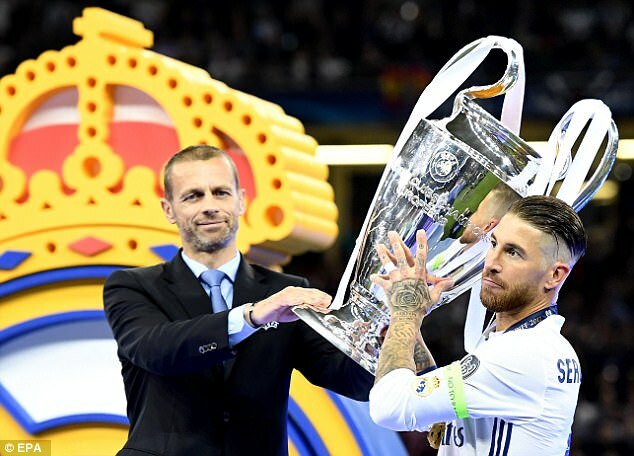 Real Madrid turned their thoughts to the victims of London’s Saturday night terror attack after winning the Champions League in Cardiff, with captain Sergio Ramos leading the tributes. Ramos wrote: ‘Our thoughts are with London’, as the European champions took time out from the celebrations that followed the 4-1 final win over Juventus. The Real skipper is among a series of sports stars to have reacted to the attack that killed seven people and hurt 48 with three terrorists shot dead by armed police. 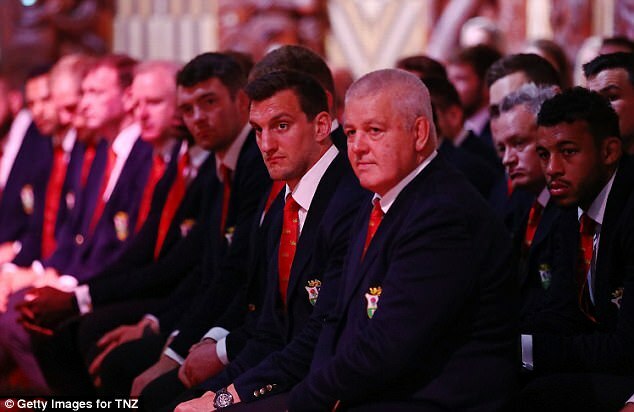 Captain Sam Warburton said the thoughts of the British and Irish Lions are with those affected by Saturday night’s terror attack in London. 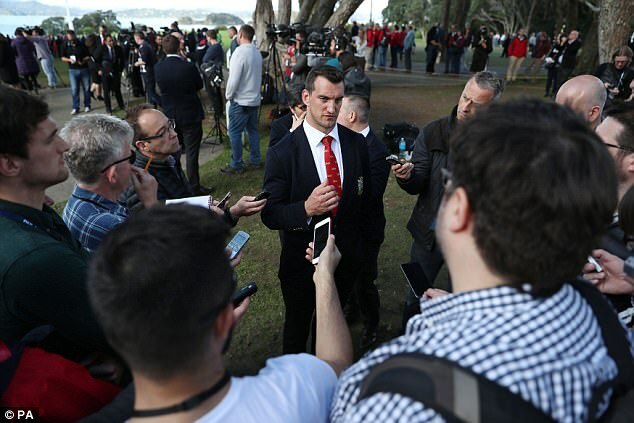 The Lions played the first match of their tour in Whangarei on Saturday, beating the New Zealand Provincial Barbarians. ‘In future performances and wins, we’ll dedicate to those who have been involved,’ Warburton said. ‘And I guess we can play a small part in trying to cheer a majority of the nation up by trying to be successful over here. Tour manager John Spencer said the Lions squad had been shocked after hearing the news. ‘The boys are very shocked, some of them don’t even know about it yet,’ Spencer said. ‘But can I just please express our sympathies with those who have been injured back home. This is a dreadful tragedy and our thoughts are certainly with those who have been injured – and their families. England’s football team, who are preparing for games in Scotland and France, expressed their condolences on social media. 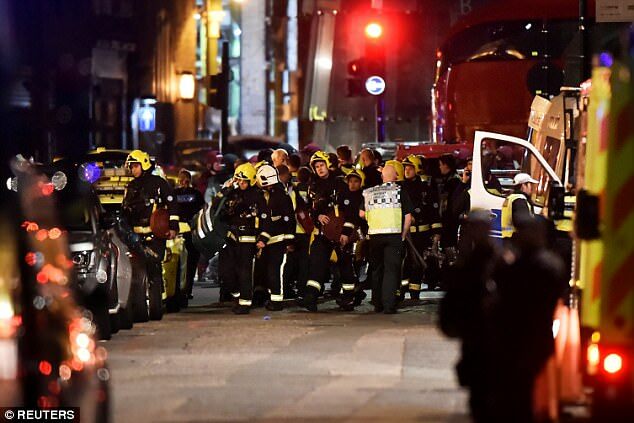 ‘Our thoughts and sympathies are with the victims and their families and friends following the attacks in London on Saturday evening,’ England tweeted. 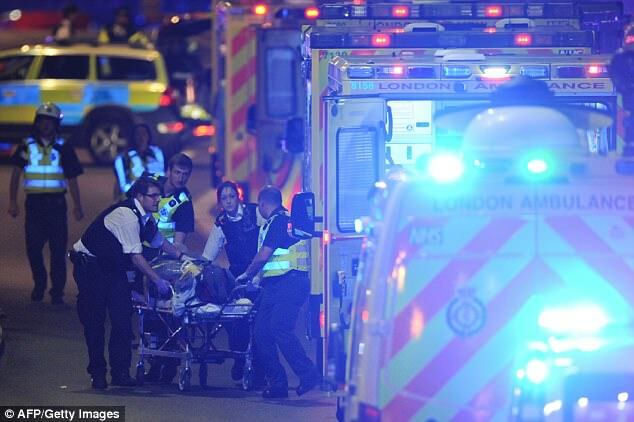 Arsenal and Tottenham were among the London clubs to post their sympathies. 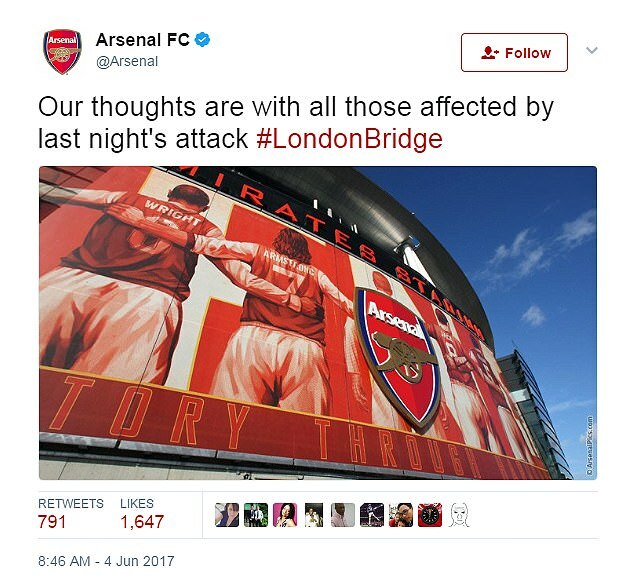 ‘Our thoughts are with all those affected by last night’s attack #LondonBridge,’ Arsenal posted. 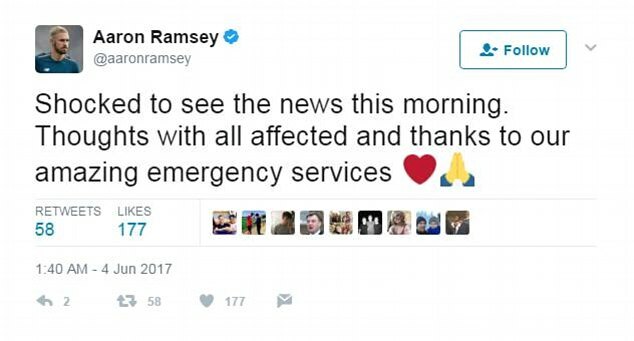 Gunners midfielder Aaron Ramsey also joined the tributes, praising the work on the emergency services in the capital.